Need a Nanny suited to your child's individual needs? At Sleeptight Nannies we realise that every baby is unique and special, Our aim is to provide you with a nanny suited to your baby's individual needs. We know how important it is to find the right person for you and your child. Celebrating a ten year partnership in 2017, Catherine and Antonia have gone from a new night nanny agency with a small team of nannies, to providing all child care services, with a database of over 100 nannies. Incorporating courses and workshops into the business mean Catherine and Antonia meet up with the nannies on a regular basis. Affiliations with relevant organisations and businesses such as First Aid companies and sleep training professionals, has enabled Sleeptight nannies to grow into a popular choice of agencies for families and nannies. I take care of our London based families and nannies. When Sleeptight Nannies was born, I was working as a nanny locally. When my charges went to school full time, I was given the opportunity to ‘go back to school’ spending five years studying for a degree in health and social care with The Open University. There have been challenging times; working part time, running the business, as well as studying and raising my daughter, but very rewarding! I am proud of how we have sustained Sleeptight, facing lots of competitors. I think our secret is our informal approach with nannies and families which puts everyone at ease straight away. Now my daughter is grown up and I have the degree under my belt, I can focus on pushing our company forward again, incorporating what I have learned, as well as social media advances to develop new avenues for Sleeptight Nannies. I take care of our Hertfordshire families and nannies. When Sleeptight started in 2007, I was working as a full time nanny. Catherine and I had built a great circle of nanny acquaintances, and between us started throwing ideas around how to use our knowledge, qualifications and experience to create an agency where nannies felt like they could relate to us, and the experience we had working for families meant we had an understanding of what families look for when looking for a nanny. In our first ten years, I have enjoyed running our Hertfordshire branch; networking with other local businesses has brought us new connections to the company which has worked well. I have also had two children whilst running the business, and keep my hands in the night nannying side of things too, working on an ad-hoc basis, so I’ve been kept busy, but wouldn’t change a thing! 'We can offer peace of mind' All our nannies are personally interviewed by us. 'Quality of care is key' All our nannies have a recognised qualification. "If sleep is what you're after then a night nanny might be the answer. A nanny will arrive at your home at around nine in the evening and, after chatting through your baby's routines will take over baby duties for the night, leaving you to grab some sleep"
We are dedicated to finding you the right childcare solution for your family. We meet all our nannies personally for an interview during which time we will check their ID and keep copies of certificates and references. All nannies need to have a childcare qualification, be first aid trained and hold a current DBS disclosure. They must have at least five years experience and explain any gaps in CVs. Once reaching an understanding of all your family’s needs and requirements, we carefully select suitable candidates who match your criteria. After we have introduced and placed your new nanny we like to keep in touch with you throughout the probationary period. We are also on hand to offer advice on becoming an employer as well as help with contracts and dealing with TAX and NI. We only recruit highly skilled, experienced nannies. Our most reliable nannies have been with us since our launch. All our night nannies are happy to offer advice on techniques and other experiences for new parents. 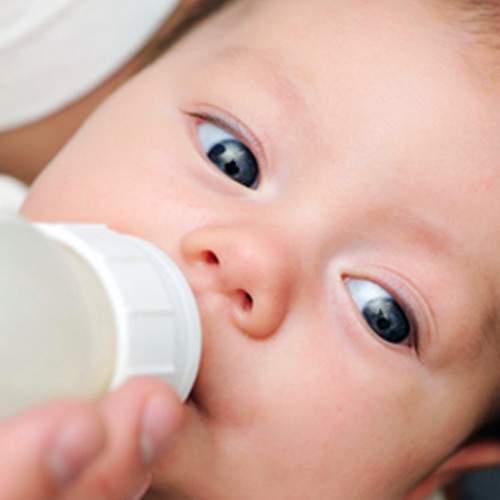 Our night nannies have expertise in breastfeeding techniques as well as sleep training, colic, and reflux. Night nannies are aware that parents have different ideas of how to develop routines and will follow guidance from you. They are tactful in their approach and are happy to follow instructions. Night Nannies can be booked for just one night or for seven nights a week. We offer a unique babysitting service providing you with an experienced nanny to meet your evening requirements. Your children will be cared for by safe professional nannies whilst you have an enjoyable night out. We suggest booking the nanny as well in advance as possible, however we have an extensive team and will endeavor to meet your requirements. Bookings are for a minimum of three hours. Rates are for children in one family. If you have family friends or relatives being left with the nanny there is an additional charge of £5 an hour. "I trust Sleeptight Nannies completely with my children which is the highest recommendation I can give them. They were recommended to me by another twin Mum and I have used them for both regular childcare and occasional babysitting. They are a very professional company, who only use the highest quality of childcare providers. I have recommended them to my friend son several occasions"
"I came to Sleeptight Nannies when I was desperate. I needed a lot of help and I needed it fast as I was suddenly alone with a premature baby. Right from the start when the baby was tiny they provided what I needed, from a nanny to stay the entire night to someone to have him during the day and occasional babysitting. They are reliable, efficient and always there for you. You couldn’t ask for a better service from a nanny agency." "Thank you so much for everything, when I looked up night nannies I called three places and you were the first and only to answer the phone and the only one who made any effort to help. :) I will recommend you in a heart beat and will always keep you in mind if we ever need anything in the future :) looking forward to another nights sleep!" "We were very desperate for some rest and eager to find a great night nanny as soon as possible. Catherine was incredibly helpful, understanding our needs and quickly found us a lovely night nanny who could come in on the date we wanted. We subsequently hired Lisa for several nights to help us with our night-time routine as well as giving us some respite. We were really happy with sleeptight nannies and I would highly recommend them." 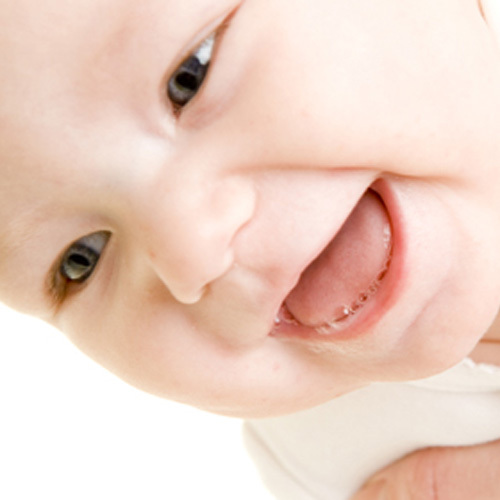 "Sleeptight Nannies provided experienced nannies for our family, following the birth of each of our sons . Catherine took the time to understand us and our needs and matched us with professional, caring and calm nannies. As a result, we were able to feel comfortable leaving our sons with the nanny from just a few days’ old. Catherine was also extremely responsive in providing nannies at short notice to deal with particular problems, such as when teething disrupted our sons’ sleep as they got older and we were once again desperate for a good night’s sleep. We would highly recommend Sleeptight Nannies!" "We were very desperate for some rest and eager to find a great night nanny as soon as possible. Sleeptight Nannies were incredibly helpful, understanding our needs and quickly found us a lovely night nanny who could come in on the date we wanted. We subsequently hired Lisa for several nights to help us with our night-time routine as well as giving us some respite. We were really happy with sleeptight nannies and I would highly recommend them. As an international visitor during our family holiday to the UK, I was nervous about finding the right nanny for our family. However, I was quickly comforted by the attentive and responsive nature of Sleeptight Nannies in assisting with our specific needs. We were matched with a terrific, reliable care giver, who stepped right in and quickly became an extension of our family. If we ever have the chance to stay in London again with our young children, Sleeptight Nannies will be the first on our contact list. I am so thankful that they were able to pair us with the perfect nanny, and I highly recommend their service."